The Eddy County Sheriff’s Office is seeking the public’s assistance in locating several young goats that were stolen last week from a rural residence in Artesia. Sheriff Mark Cage says seven baby show goats were stolen Thursday, Feb. 9, from 1 Jenkins Drive in Artesia. Lorie Goldston, owner of the goats, told deputies a witness had observed a silver or grey late-1990s-model Ford Explorer near the fence where the goats were penned. The goats are of a distinctive breed, with white bodies and brown heads, and are valued at $500 each. They belong to local youth who planned to show the animals at the Eddy County Fair. 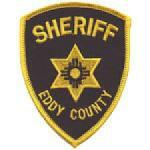 Anyone with potential information regarding the theft is urged to contact the ECSO at 575-887-7551 or, anonymously, through Crimestoppers of Eddy County at 1-844-786-7227; by texting code word StopACrime plus the tip to 274637 (CRIMES); or via the Tipsoft link at cityofcarlsbadnm.com/police.cfm. Information given through Crimestoppers leading to the recovery of the goats could net a reward of up to $1,000.